NEW YORK (GenomeWeb) – Researchers at the University of Texas MD Anderson Cancer Center have developed a new breast cancer staging system that incorporates tumor biology as a critical prognostic indicator for women who undergo neoadjuvant therapy. Published this week in JAMA Oncology, the Neo-Bioscore staging system incorporates HER2/ERBB2 status, which allows for more precise prognostic stratification of all breast cancer subtypes. To date, breast cancer patient staging involved considering the size of the primary tumor, metastasis, or disease in the lymph nodes at the time of presentation as the primary factors.However, this fails to take into account the biology of the tumor, which has shown to be critically important, Elizabeth Mittendorf, associate professor of Breast Surgical Oncology at MD Anderson and corresponding author on the study, said in a statement. The new system builds on the development of an earlier breast cancer staging system developed by MD Anderson, CPS+EG, that incorporates preclinical stage, estrogen receptor status, grade, and post-treatment pathologic stage. While it was an improvement from previous methods, it is no longer a sufficient staging system because it predates the routine use of trastuzumab in the neoadjuvant setting and therefore had a limited ability to provide prognostic information for HER2/ERBB2-positive patients, Mittendorf said. To develop the staging system, the researchers conducted a retrospective study that evaluated 2,377 MD Anderson breast cancer patients who all had non-metastatic invasive breast cancer and were treated with neoadjuvant chemotherapy. Each patient’s clinicopathologic data were recorded, including age, clinical and pathological stage, ER status, HER2/ERBB2 status, and nuclear grade. Patients’ ER status was recorded as a percentage of cells staining positive under immunohistochemical analysis. Their ERBB2 status was defined as positive at a reading of 3+ on immunohistochemical analysis or when gene amplification was shown on fluorescence in situ hybridization. All patients received an anthracycline and/or taxane-based neoadjuvant chemotherapy regimen. Patients with HER2/ERBB2-positive disease routinely completed one year of trastuzumab therapy. After completing chemotherapy, patients underwent either breast-conserving therapy or mastectomy with axillary evaluation with or without post-mastectomy irradiation. Patients’ CPS+EG score was determined according to the previously published staging system and was calculated twice (once using 1 percent or higher as the cutoff for ER positivity and again using 10 percent or higher as the cutoff). Their disease-specific survival (DSS) was also calculated using multiple staging systems: AJCC clinical stage, AJCC pathologic stage, CPS+EG (1 percent cutoff), and CPS+EG (10 percent cutoff). Within each staging system, DSS among subgroups was compared using the log-rank test. After the researchers determined a CPS+EG score for each patient, they added the patient’s respective HER2/ERBB2 status to the model. They then constructed the novel staging system by adding a point to the CPS+EG score for HER2-negative tumors. In the study cohort, 591 patients were HER2/ERBB2 positive. The researchers found that in addition to validating previous findings that CPS+EG score improved prognostication of patients, the Neo-Bioscore created a more refined stratification in approximately 75 percent of the study cohort. This shift reflects the number of HER2/ERBB2-negative tumors in the study and demonstrated that adding HER2/ERBB2 standards created a highly significant improvement. Importance We previously described and validated a breast cancer staging system (CPS+EG, clinical-pathologic scoring system incorporating estrogen receptor–negative disease and nuclear grade 3 tumor pathology) for assessing prognosis after neoadjuvant chemotherapy using pretreatment clinical stage, posttreatment pathologic stage, estrogen receptor (ER) status, and grade. Development of the CPS+EG staging system predated routine administration of trastuzumab in patients with ERBB2-positive disease (formerly HER2 or HER2/neu). Objective To validate the CPS+EG staging system using the new definition of ER positivity (≥1%) and to develop an updated staging system (Neo-Bioscore) that incorporates ERBB2 status into the previously developed CPS+EG. 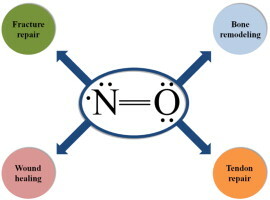 Design, Setting, and Participants Retrospective review of data collected prospectively from January 2005 through December 2012 on patients with breast cancer treated with neoadjuvant chemotherapy at The University of Texas MD Anderson Cancer Center. Main Outcomes and Measure Prognostic scores were computed using 2 versions of the CPS+EG staging system, one with ER considered positive if it measured 10% or higher, the other with ER considered positive if it measured 1% or higher. Fits of the Cox proportional hazards model for the 2 sets of prognostic scores were compared using the Akaike Information Criterion (AIC). Status of ERBB2 was added to the model, and the likelihood ratio test was used to determine improvement in fit. Results A total of 2377 patients were included; all were women (median age, 50 years [range, 21-87 years]); ER status was less than 1% in 28.9%, 1% to 9% in 8.3%, and 10% or higher in 62.8%; 591 patients were ERBB2 positive. Median follow-up was 4.2 years (range, 0.5-11.7 years). Five-year disease-specific survival was 89% (95% CI, 87%-90%). Using 1% or higher as the cutoff for ER positivity, 5-year disease-specific survival estimates determined using the CPS+EG stage ranged from 52% to 98%, thereby validating our previous finding that the CPS+EG score facilitates more refined categorization into prognostic subgroups than clinical or final pathologic stage alone. The AIC value for this model was 3333.06, while for a model using 10% or higher as the cutoff for ER positivity, it was 3333.38, indicating that the model fits were nearly identical. The improvement in fit of the model when ERBB2 status was added was highly significant, with 5-year disease-specific survival estimates ranging from 48% to 99% (P < .001). Incorporating ERBB2 into the staging system defined the Neo-Bioscore, which provided improved stratification of patients with respect to prognosis. Conclusions and Relevance The Neo-Bioscore improves our previously validated staging system and allows its application in ERBB2-positive patients. We recommend that treatment response and biologic markers be incorporated into the American Joint Committee on Cancer staging system. Landmark preclinical study cured lung metastases in 50 percent of breast cancers by making nanoparticles inside the tumor. “If this research bears out in humans and we see even a fraction of this survival time, we are still talking about dramatically extending life for many years. That’s essentially providing a cure in a patient population that is now being told there is none,” said Ferrari, who holds the Ernest Cockrell Jr. Presidential Distinguished Chair and is considered one of the founders of nanomedicine and oncophysics (physics of mass transport within a cancer lesion). Genome-scale studies of cancer samples have begun to provide a global depiction of genetic alterations in human cancers, but the complexity and volume of data that emerge from these efforts have made dissecting the underlying biology of cancer difficult, and little is known about the functions of most of the candidates that emerge. For example, in studies of 489 primary high-grade serous ovarian cancer genomes, 1825 genes were identified as targeted by recurrent amplification events. Systematic approaches to study the function of genes in cancer cell lines, such as genome-scale pooled short hairpin RNA (shRNA) screens, offer a means to assess the consequences of the genetic alterations found in such genome characterization efforts. The comprehensive characterization of a large number of cancer genomes will eventually lead to a compendium of genetic alterations in specific cancers. Unfortunately, the number and complexity of identified alterations complicate endeavors to identify biologically relevant mutations critical for tumor maintenance because many of these targets are not amenable to manipulation by small molecules or antibodies. RNA interference provides a direct way to study putative cancer targets; however, specific delivery of therapeutics to the tumor parenchyma remains an intractable problem. Recently an shRNA-based approach was used to find genes that are both overexpressed in human primary tumors and essential for the proliferation of ovarian cancer cells. This approach identified 54 overexpressed and essential genes in ovarian cancer and 16 genes in non–small cell lung cancer that required further validation in vivo. Furthermore, many of these candidates represent targets that are not amenable to antibody-based therapeutics or traditional small molecule approaches. Thus, if one envisions a discovery pipeline that begins with cancer genomes and ends with novel therapeutics, there is a bottleneck at the point of in vivo validation of novel targets. Achieving silencing in the epithelial cells in the tumor parenchyma is especially critical to study the genetic alterations of interest. RNA interference (RNAi) is a potentially attractive means to silence the expression of candidate genes in vivo, particularly for undruggable gene products. However, systemic delivery of small interfering RNA (siRNA) to tumors has been challenging, owing to rapid clearance, susceptibility to serum nucleases, and endosomal entrapment of small RNAs, in addition to their inherent inadequate tumor penetration. Tumor penetration is also a problem for the delivery of siRNA and shRNA, among other cargos, and is characterized by limited transport into the extravascular tumor tissue beyond the perivascular region. This low penetration is thought to arise from the combination of dysfunctional blood vessels that are poorly perfused and a high interstitial pressure, especially in solid tumors, in part due to dysfunctional lymphatics. The leakiness of tumor vessels partially counteracts the poor penetration [the so-called enhanced permeability and retention (EPR) effect], but the size dependence and variability of this property can limit its usefulness. 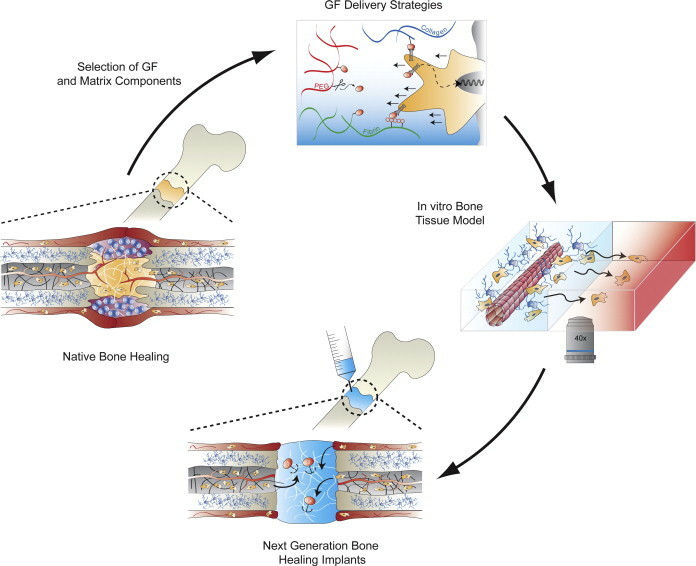 Desmoplastic stromal barriers can further impede transport of therapeutics through tumors. 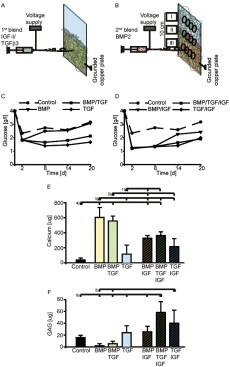 A new class of tumor-penetrating peptides has been described recently, which home to several types of tumors and leverage a consensus R/KXXR/K C-terminal peptide motif [the C-end rule (CendR)] to stimulate transvascular transport and rapidly deliver therapeutic cargo deep into the tumor parenchyma. These peptides are tumorspecific, unlike canonical cell-penetrating peptides (CPPs) that do not display cell- or tissue-type specificity, and are able to improve the delivery of small molecules, antibodies, and nanoparticles. Despite their promise, this class of peptides has not been successfully co-opted for siRNA delivery, in part owing to the additional challenges of delivering oligonucleotides across cell membranes, out of endosomes, and into the cytosol to achieve gene silencing. 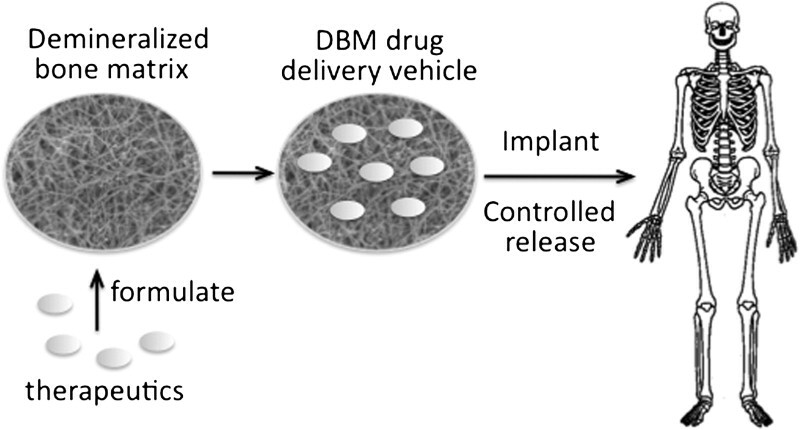 Here, an siRNA delivery vehicle has been designed that was tumorpenetrating and modular, so it could be easily assembled in a single step to accommodate different payloads to various genes of interest. It can be envisaged that such a technology would enable a platform wherein novel targets can be identified by structural and functional genomics and subsequently rapidly credentialed both in vitro and in vivo. Followup studies could then identify the mechanism of action underlying the observations and establish (and ultimately prioritize) novel oncogenes as therapeutic targets. To achieve this goal, a systematic effort was combined to identify genes that are both essential and genetically altered in human cancer cell lines and tumors with the development and deployment of a novel tumor-specific and tissue-penetrating siRNA delivery platform. Current genome characterization efforts will eventually provide insight into the genetic alterations that occur in most cancers and may define new therapeutic targets. However, most epithelial cancers harbor hundreds of genetic alterations as a consequence of genomic instability. For example, whereas recurrent somatic alterations occur in a small number of genes in high-grade ovarian cancers, ovarian cancer genomes are characterized by multiple regions of copy number gain and loss involving at least 1825 genes. This genomic chaos complicates efforts to identify biologically relevant mutations critical for tumor maintenance. To isolate which recurrent genetic alterations are involved in cancer initiation, tumor maintenance, and/or metastasis, functional assays can be performed after systematic manipulation of the candidate oncogenes. Results from Project Achilles was combined, a large scale screening effort to identify genes essential for proliferation and survival in human cancer cell lines with genome characterization of high-grade ovarian cancers. Using this approach, an oncogene candidate was identified, ID4, which was amplified in 32% of high-grade serous ovarian cancers. ID4 is overexpressed in a large fraction of high-grade serous ovarian cancers, and ovarian cancer cell lines that overexpress ID4 are highly dependent on ID4 for survival and tumorigenicity. Expression of ID4 at levels corresponding to those observed in patient-derived samples induced transformation of immortalized ovarian and FT epithelial cells. In summary, a targeted TPN was developed capable of precisely delivering siRNA into the tumor parenchyma, and have combined this technology with large-scale methods to credential ID4 as an oncogene target in ovarian cancer. Because large-scale efforts to characterize all cancer genomes accelerate, this capability illustrates a path to identify genes that are altered in tumors, validate those that are critical to cancer initiation and maintenance, and rapidly evaluate in vivo the subset of such genes amenable to RNAi therapies and clinical translation. These observations not only credential ID4 as an oncogene in 32% of high-grade ovarian cancers but also provide a framework for the identification, validation, and understanding of potential therapeutic cancer targets.